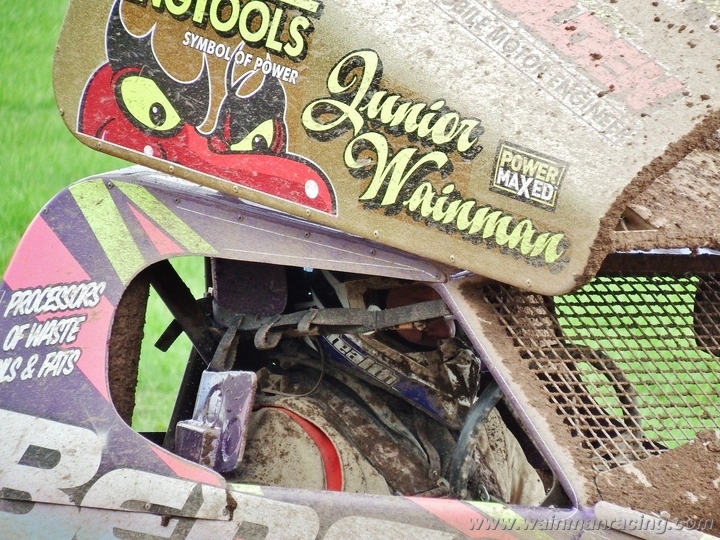 The Shoot Out so far hasn’t been going too bad for FWJ, who is currently in third position. 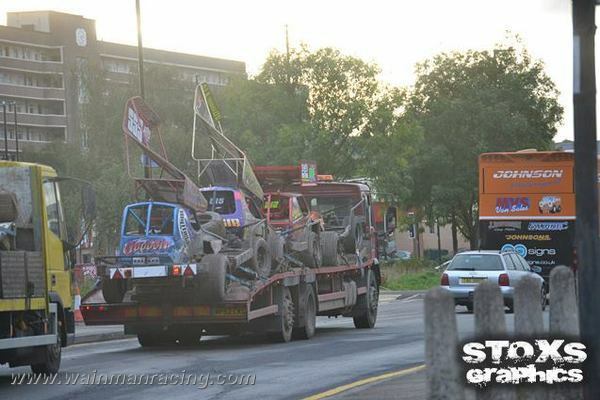 There’s still a lot that can happen though and nobody’s safe. 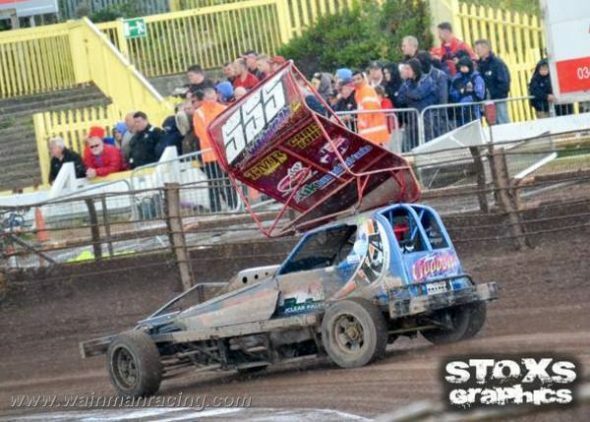 Danny is in seventh place after one of his better meetings at Sheffield last week with a second in his heat and final. 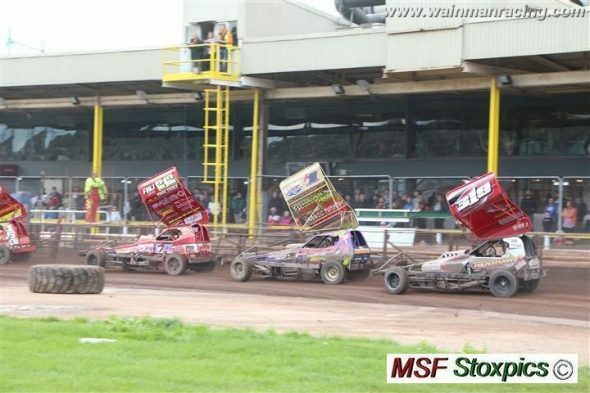 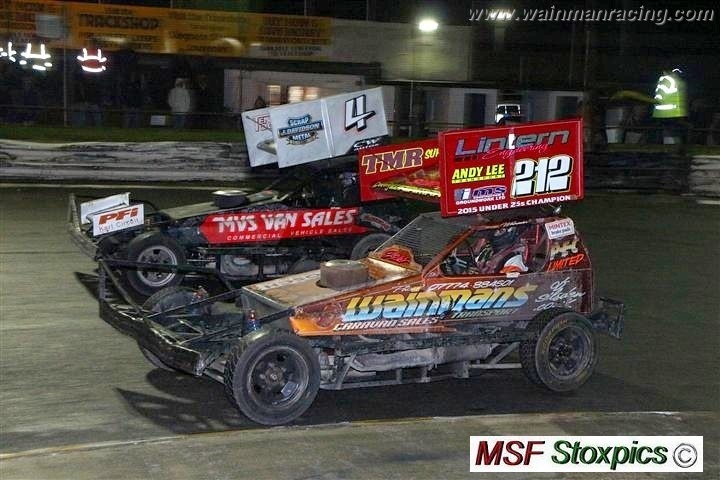 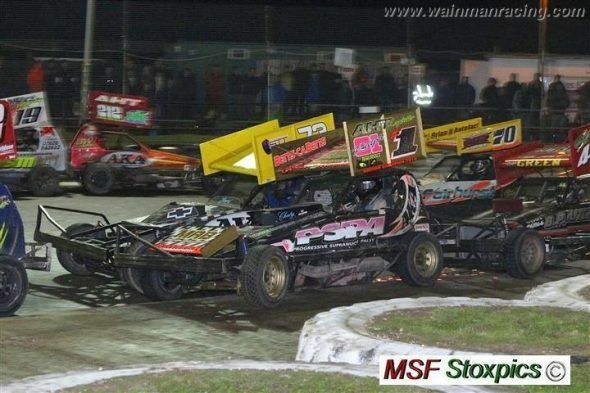 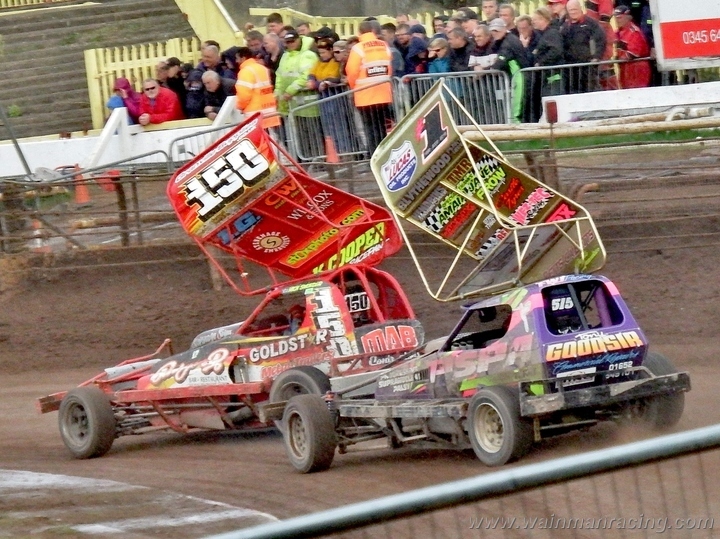 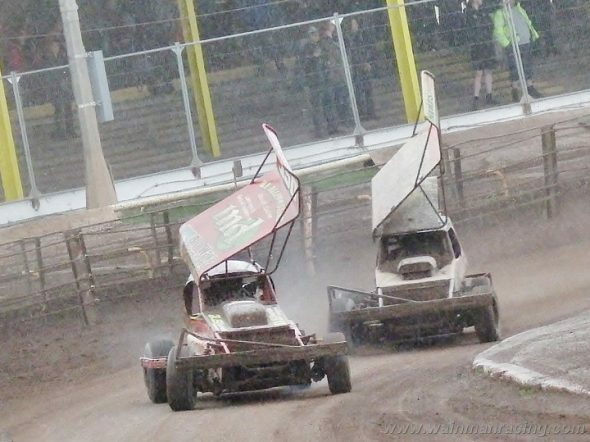 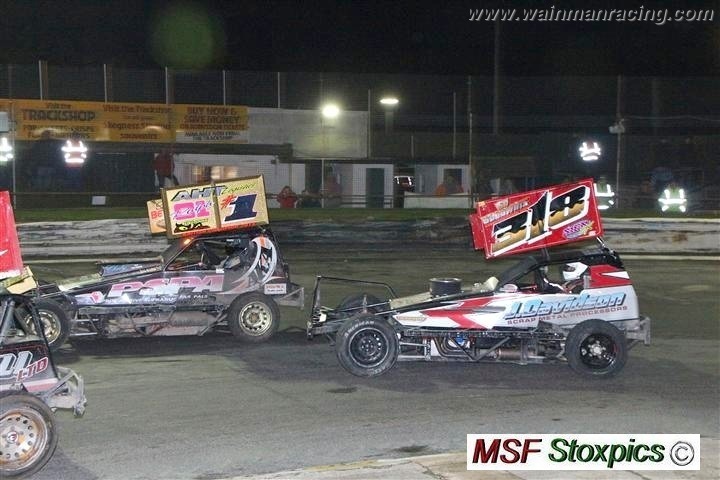 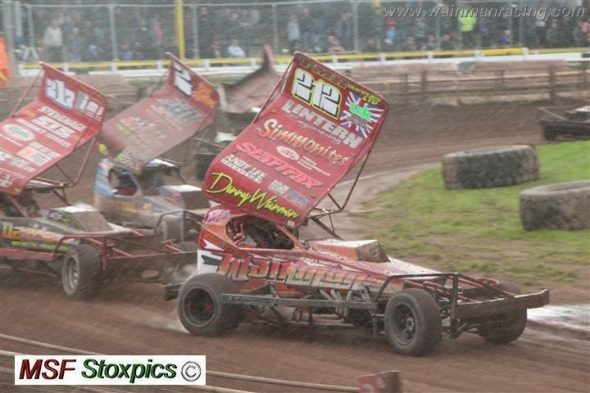 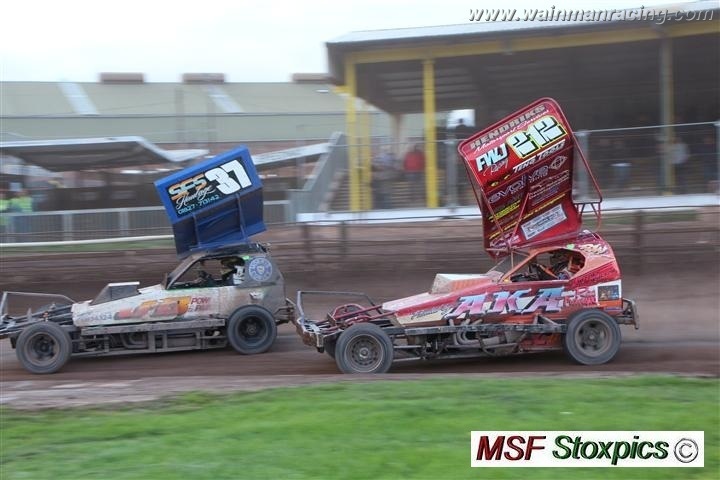 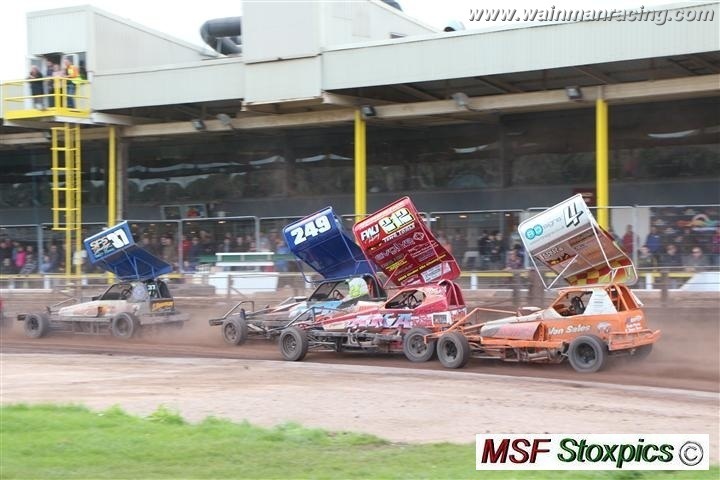 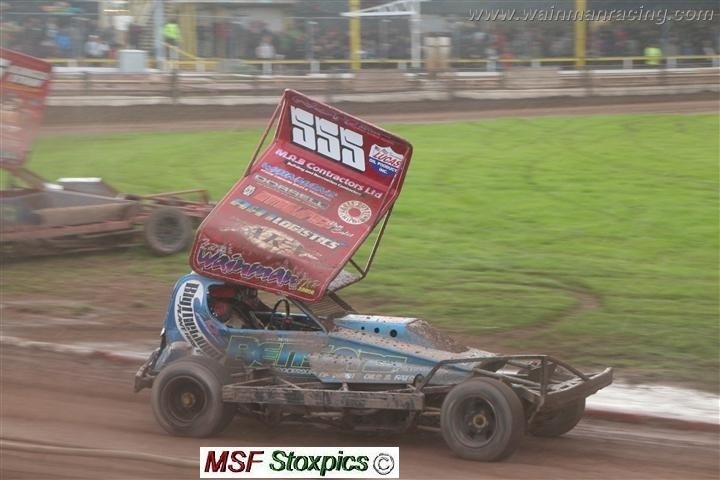 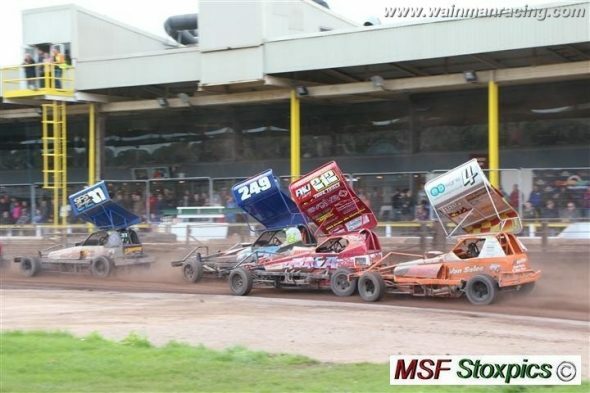 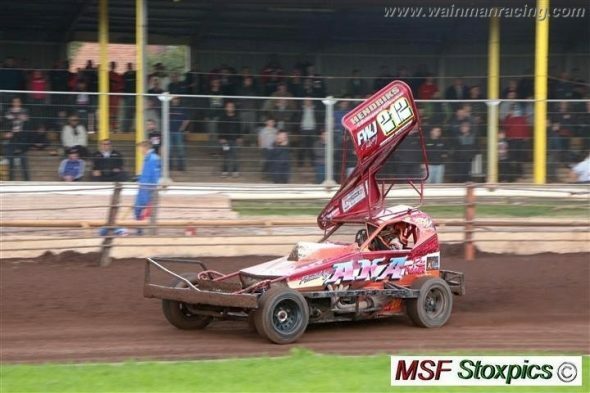 FWJ got a flat tyre in the Skegness final which lost him a few crucial points. 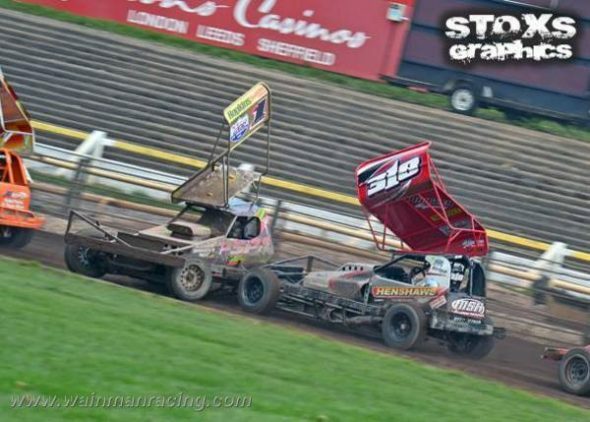 Sheffield was a better meeting for him. 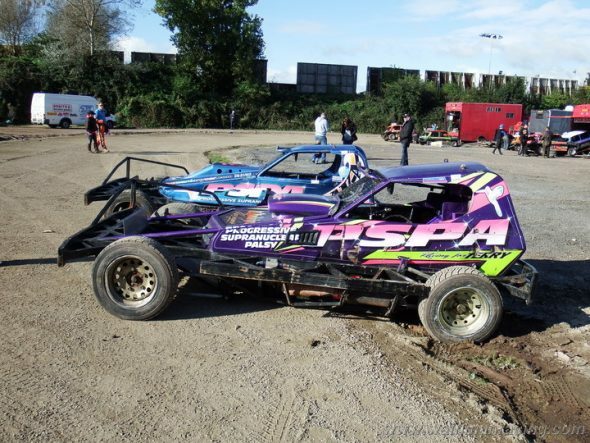 Young Frank 555 has picked up various placings and seems to finish most races. 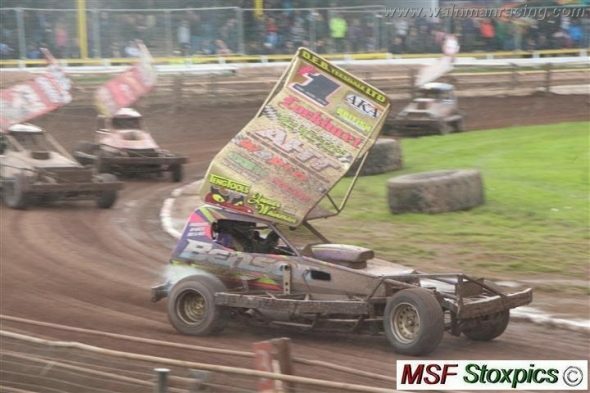 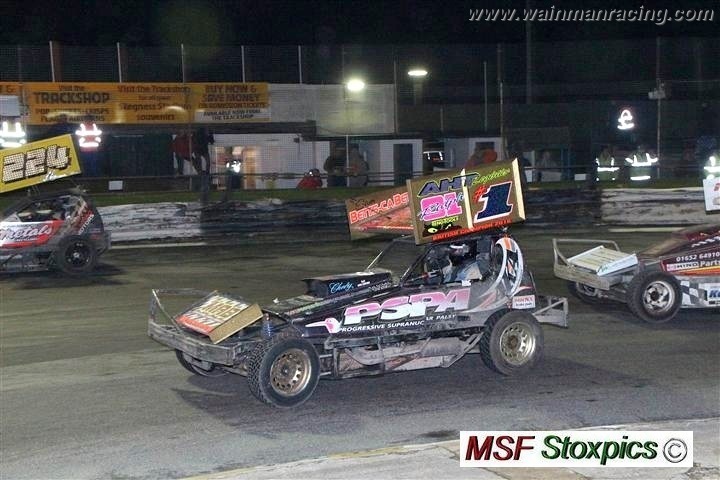 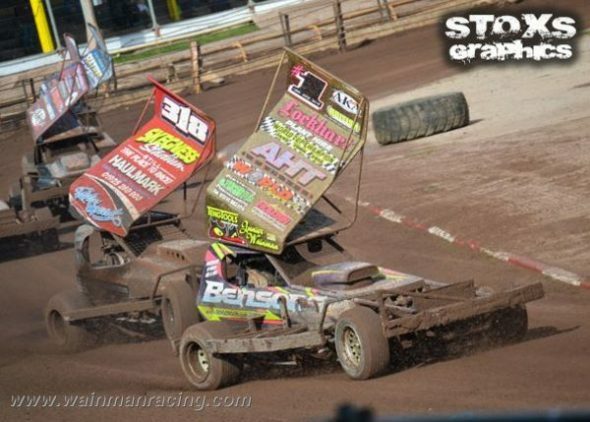 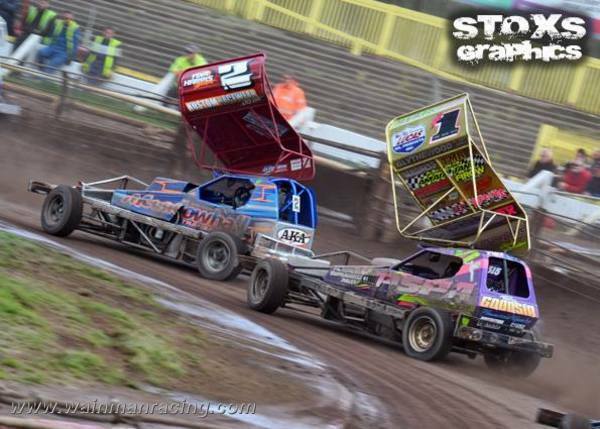 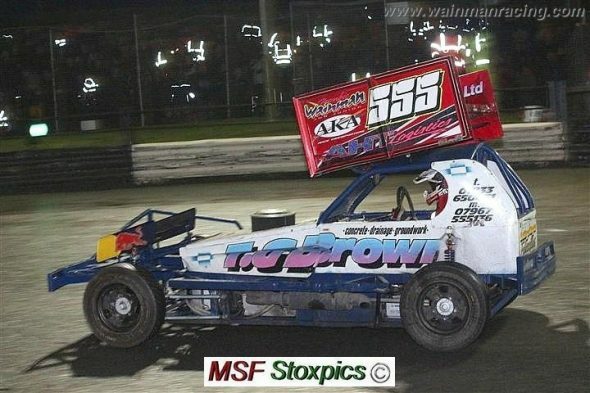 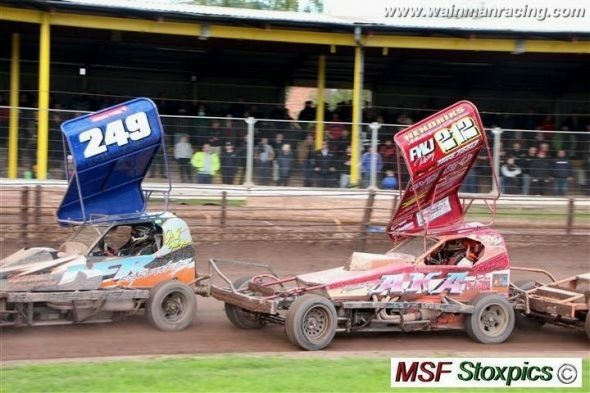 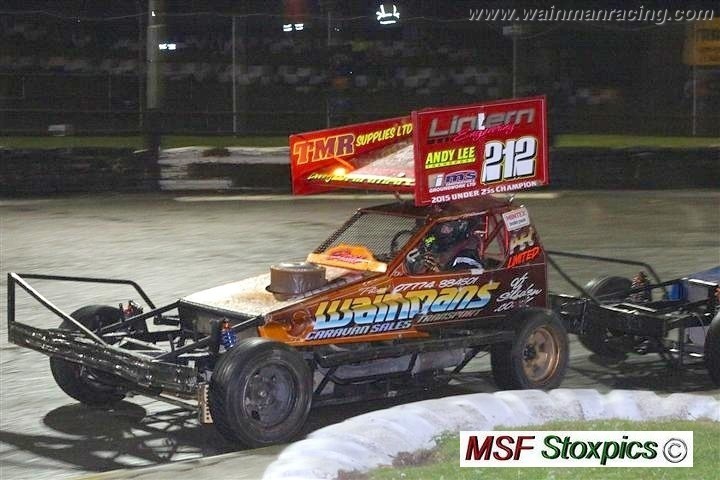 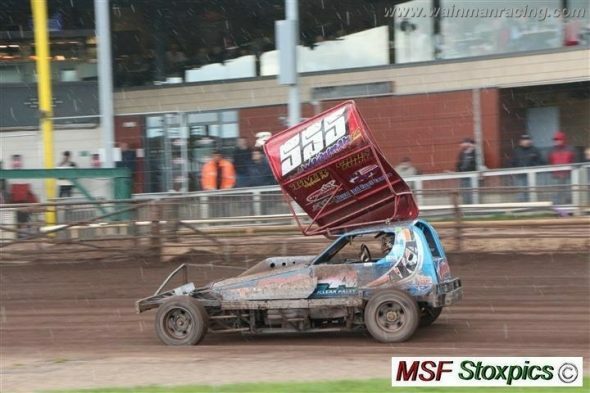 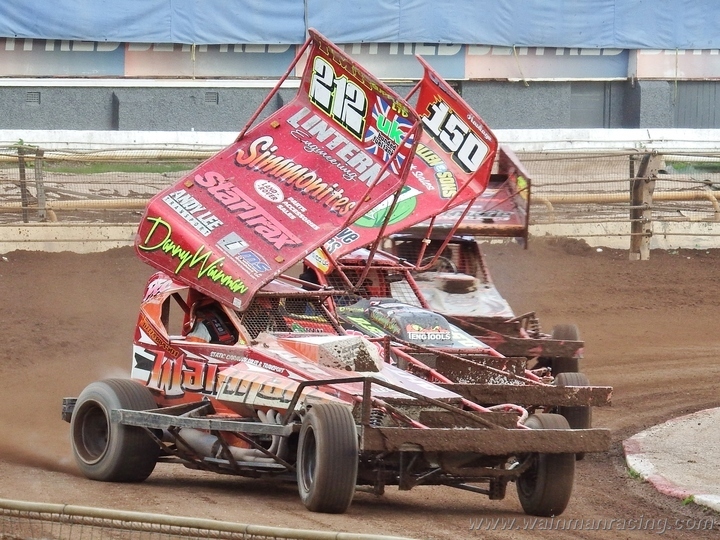 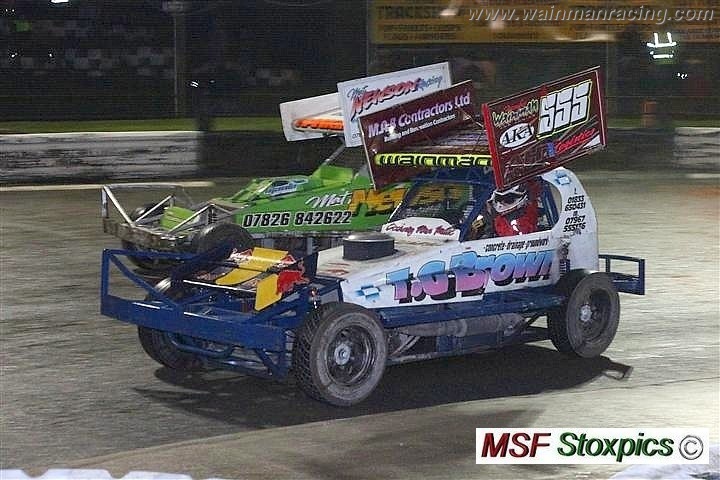 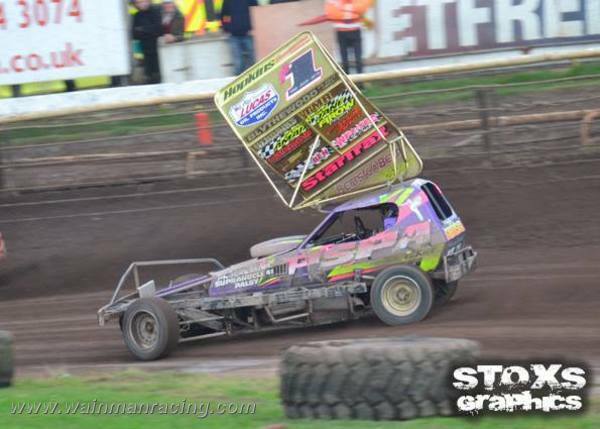 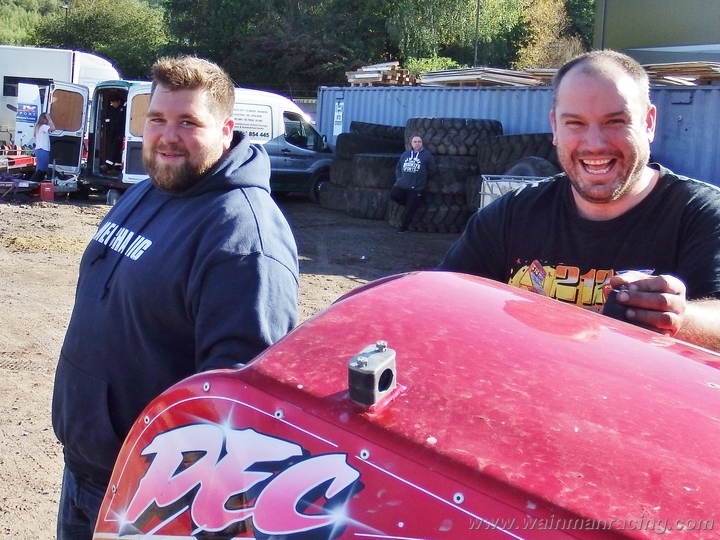 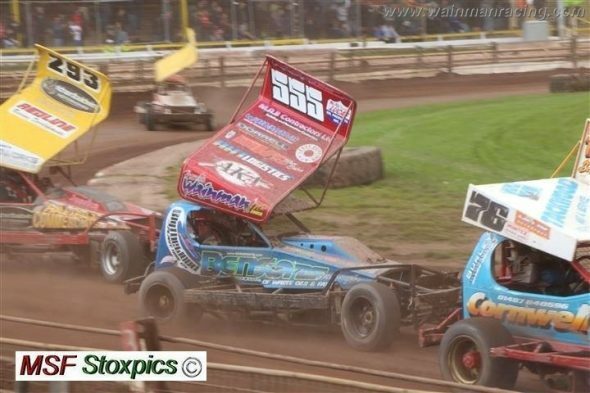 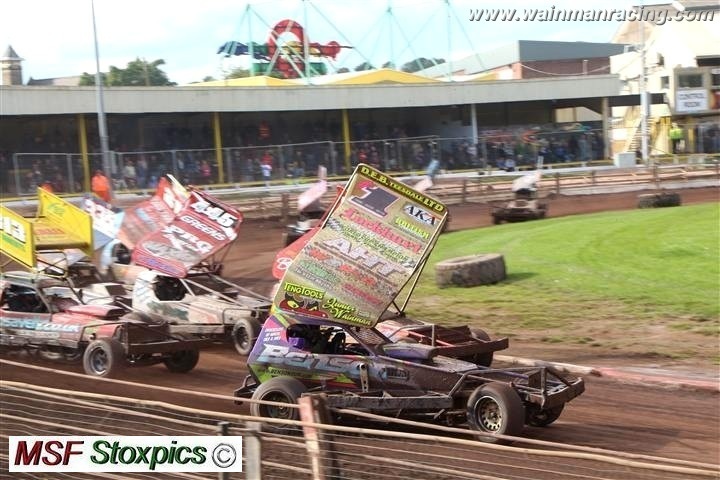 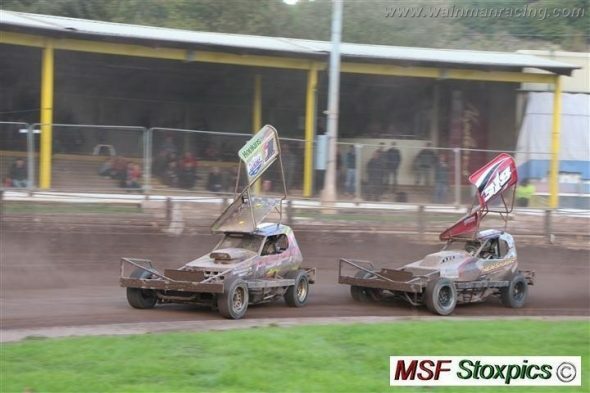 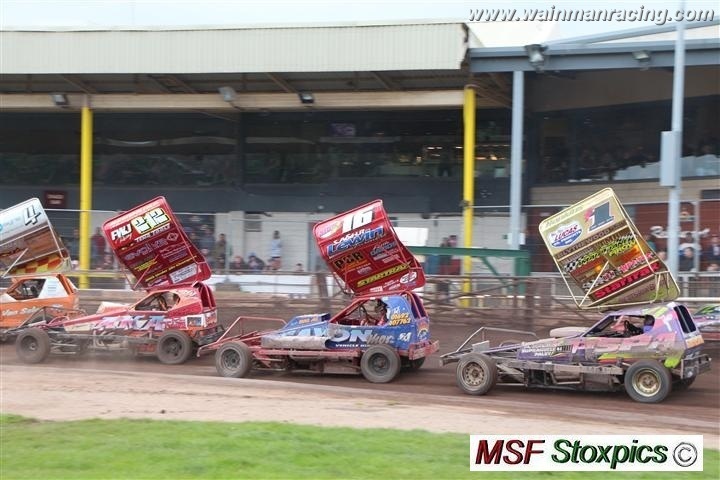 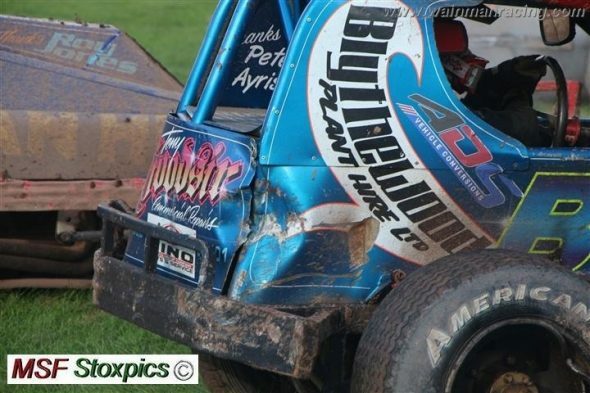 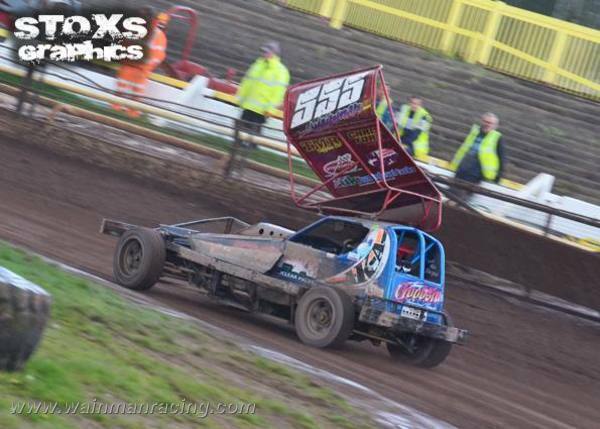 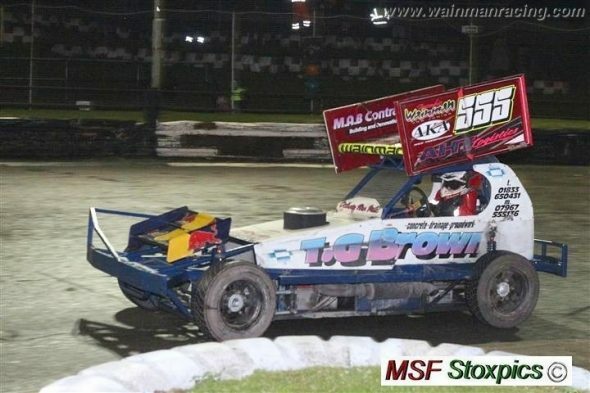 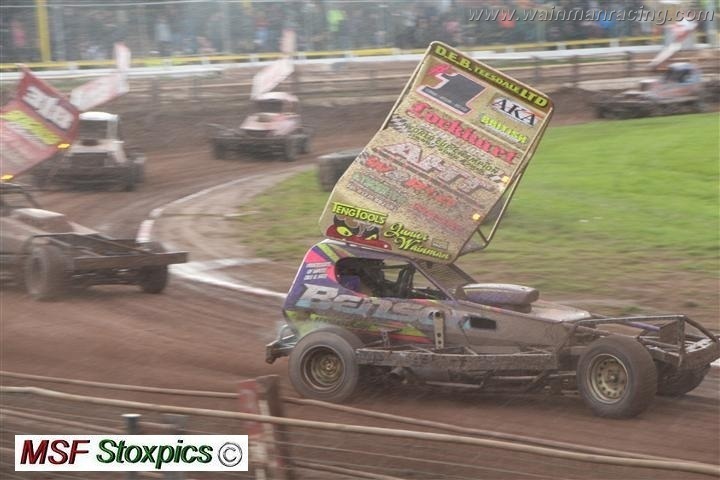 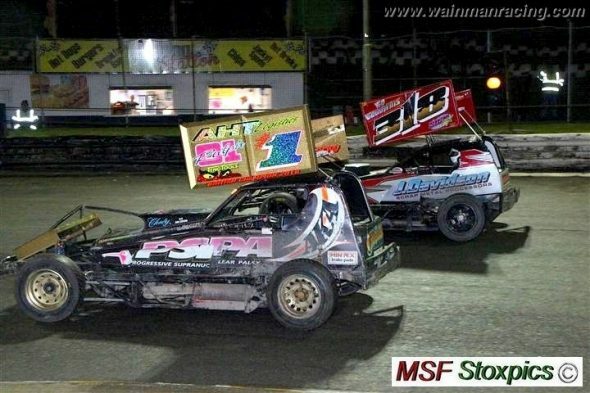 He had a good drive at Sheffield also, with a 6th place in the onsolation and 11th in the final. Phoebe raced at Skegness on Sunday and it wasn’t a very good meeting for her. 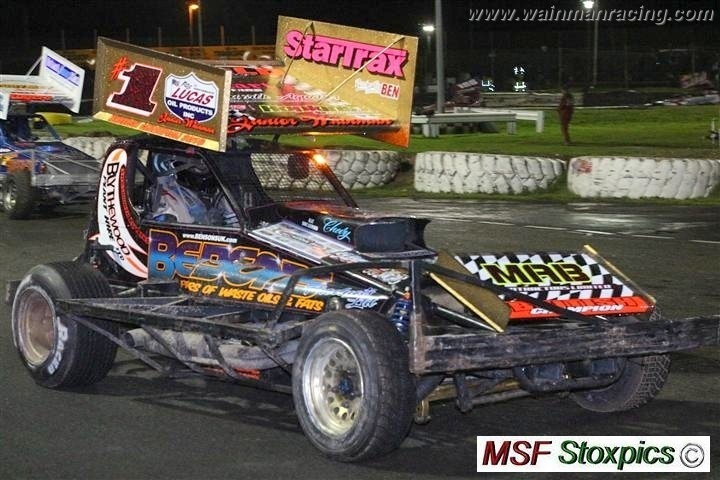 She struggled with her smoking engine which is due a rebuild. 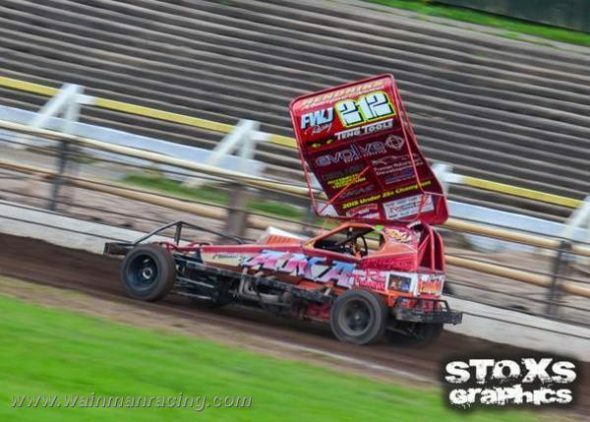 Nothing flash results wise, just a 9th in her final. The truck has had a lot of work done to it after our smash and fingers crossed she will get us to Birmingham and Northampton safely this weekend. 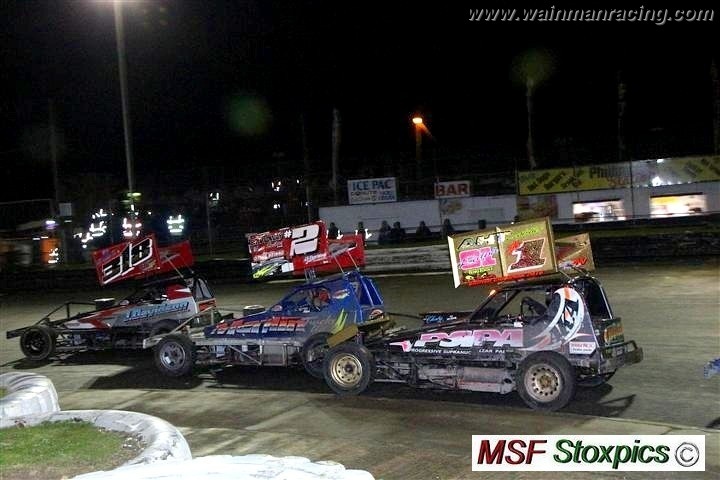 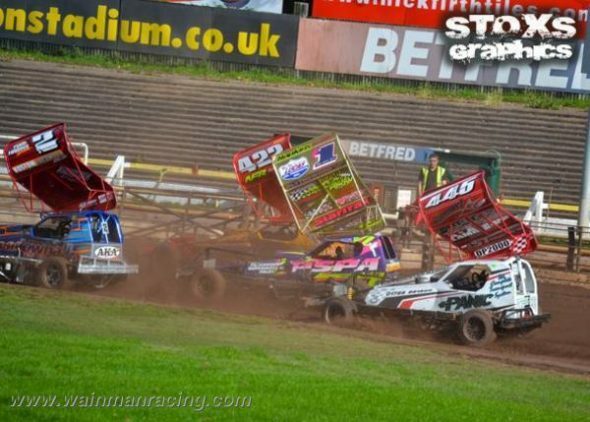 Thanks to Martin Fitzgerald, Paul Greenwood, and Jonny Goss for these great photos from Skegness and Sheffield.